Uncover the most powerful audiences to drive engagement for your brand and products. Directly apply this powerful set of behavioral data segments to target and then optimize your entire media plan, while it is live. Brand health and omnichannel marketing directly impact consideration and car purchase. Flex your short- and long-term KPIs right at your desktop in the Marketing Evolution platform -- optimizing at the person-level to drive changes during your live campaign. 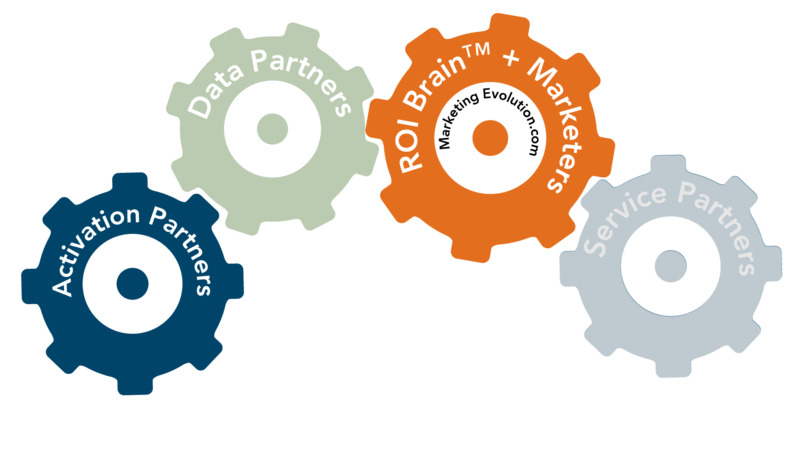 Morpace’s automotive experts (40+ years, 50+ countries) integrate their proprietary data and expertise into the ROI Brain™ for an exclusive, end-to-end brand to behavior optimization solution. 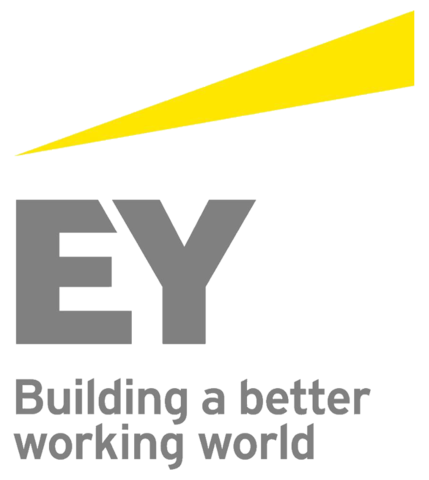 EY implements Marketing Evolution’s ROI Brain™ as part of its best-in-class commercial transformation solution. EY consultants and engineers configure your initial setup for maximum results, then our dedicated client services team will support you 24/7. Your EY team will onboard you onto the ROI Brain during their engagement -- ensuring you receive the most powerful optimization platform, aligned with the right staff and best-in-class workstreams. Identify your highest-propensity audiences for upcoming releases in the competitive context. Integrate this intelligence into person-level media planning to calibrate your targeting based on post-view attitudes and real theater visits or tune in. Screen Engine’s collaborative syndicated entertainment survey and individual-level screening attitudinal data are directly tied to the ROI Brain™ to drive high-relevance cross-media reach. Entertainment: theatrical release planning, home entertainment release and TV show premiere. An unmatched combination of two “gold standard” platforms: Marketing Evolution optimizes your media at the person level, while your campaign is live. 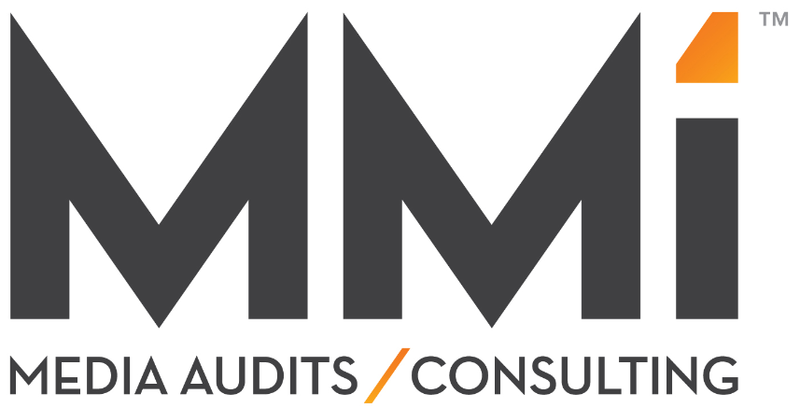 MMi audits your media spend, so you get what you paid for. Media Management Inc.’s tenured team (average experience: 20+ years) and technology streamline data capture from post-buy systems. 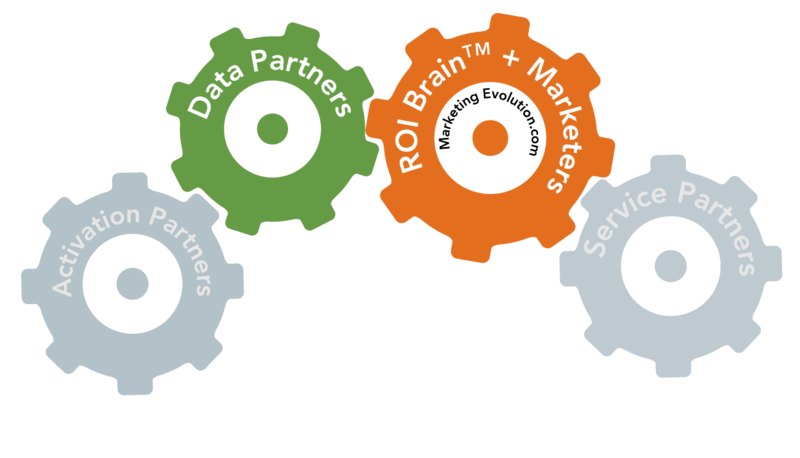 We pair these data feeds with the ROI Brain™ to deliver a unified approach to media optimization and media audit. 80% of product launches fail. Finding the 15% of consumers who actually drive 80-90% of impact, and reaching them in the optimal way, is harder and more essential than ever in today’s fragmented media landscape. MoreCastR, leveraging the ROI Brain™, was created for this purpose by Joel Rubinson, based on his depth of experience with NPD Group, The ARF, Coca-Cola, Unilever and many more. MoreCastR is built atop the ROI Brain™ -- so you can optimize your plan, across media, to best reach the “high propensity triers” essential to your new product launch. To optimize your campaigns in real time, you can rely on these agencies, all fully trained and certified in using the ROI Brain. Always-on connections between their analytics teams and Marketing Evolution dashboards make for lightning fast setup, execution and rapid trafficking of optimizations. The video ad delivery landscape is no longer just TV – it extends to desktops, mobile, and an array of streaming devices. Combine your buying and delivery with real-time creative and cross-media audience optimization. The ROI Brain™ is fully integrated with Adobe Ad Cloud – enabling easy ingestion of media logs, quick setup of survey-based test and learns, and easy to apply optimizations. Create a customized, enriched person-level data stack using your customers and prospects. Apply this audience intelligence for granular optimization of media spend and targeting – to impact your live campaigns. 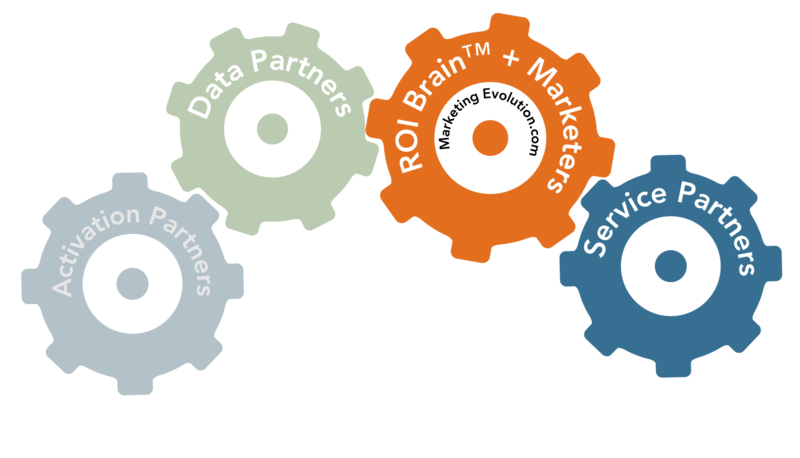 The ROI Brain™ can integrate with Acxiom – receiving deep, person-level data about customers and prospects for attribution, optimization and on-the-fly segment creation. While clickstream data tells you if you’ve succeed in driving online traffic, real world impact at physical locations has been far harder to quickly quantify. Until now. Location intelligence is now actionable – so you can refine all your touchpoints for in-person visits while media is in-flight. Precision spatiotemporal user data from mobile devices, connected to real-time, all-marketing optimization. See how each media touch point drives product purchase. Then activate these data to maximize impact on audiences that matter during your live campaign. Household-level purchase data from retailers, credit cards and loyalty cards connected to real-time, all media optimization. TV ad spend remains significant. Granular viewing data from millions of VIZIO smart TVs lets you find the right programs, dayparts and audiences. Measure conversion to tune in, viewership of movies at home and more – using best-in-class cross-media optimization to drives these results. Full (second-by-second) viewing data from millions of opted-in households is integrated into your real-time optimizations – providing in-depth viewer profiles, exposure to conversion measurement, and more. Addressable TV is now. Combine the reach of the largest U.S. cable operator with Marketing Evolution’s leading inflight optimization tools to evaluate this powerful channel in real time, on more than just CPM, and find the optimal allocation in your media mix. Household-level behavioral, demographic, and psychographic data streams directly into the ROI Brain™ for use in inflight / ongoing and future optimizations.